Kazakhstan’s banking sector is having trouble finding that light at the end of the tunnel. A cycle of crises is spurring a merger trend among banks. In 2017 alone, eight banks have completed or are in the course of going through this process. 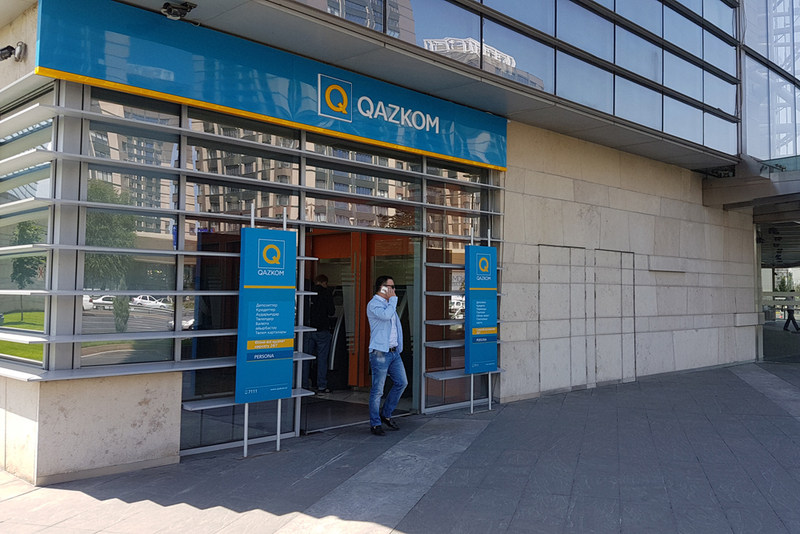 The biggest financial operation of the year was completed in July when Halyk Bank absorbed another local market leader, Qazkom, creating a larger bank that could help keep the national economy on an even keel. In November 2014, it was Qazkom taking on the white knight role when it merged with BTA Bank, taking on the latter’s liabilities, which included 750 million euros in eurobond obligations that are due in 2022. That takeover came at an unfortunate time, however. With energy prices in the doldrums, Kazakhstan’s economy entered a period of stagnation, the national currency plunged in value and households defaulted on their loans en masse. In 2016, major depositors ditched the bank, leading to a liquidity crunch and an escalation of troubles. In March, Capital Bank Kazakhstan and Tengri Bank signed a memorandum of intent to merge. Neither bank is especially large, occupying positions in the mid-20s among Kazakhstan’s lenders by size of deposits. Like their larger peers, the banks experienced trouble maintaining a healthy balance sheet amid flagging interest among large-scale depositors. One month later, Tsesnabank acquired a 41.9 percent stake in Bank CenterCredit, which was owned by South Korea’s Kookmin Bank. The explanation provided by Kookmin Bank was that the devaluation of the tenge and the concomitant economic crisis were creating unacceptable losses at Bank CenterCredit. The ultimate plan is for the banks to merge entirely. On May 31, the head of Bank RBK and Qazaq Banki announced at a news conference in Almaty that they had signed a memorandum of understanding to kickstart their own merger. According to Bank RBK’s board chairman Igor Mazhinov, once the lenders merge under the Bank RBK brand, the newly formed bank will focus on providing financial services to small and medium businesses and corporate clients. One overriding factor fueling the merger trend in Kazakhstan is the marked decline in the quality of credit portfolios. According to National Bank data, the number of nonperforming loans – where payments are past due by at least 90 days – rose in May by 40 percent, bringing the overall proportion of low-grade credit to 11.1 percent. The previous record was registered during an earlier crisis, in April 2009, which saw a 25.5 percent jump in nonperforming loans. The National Bank is candid, however, that the real scale of nonperforming loans may be even greater than current estimates. Standard & Poor’s rating agency believes the rate of low-grade credit may be as high as 25-30 percent. These figures spell bad news for customers, first and foremost. Bank loans are by far the most in-demand financial product in Kazakhstan. Households regularly take out credit not just for the usual big-ticket items like homes and cars, but even for weddings, holidays and running costs. As RFE/RL’s Kazakhstan service, Radio Azattyq, has reported, citing the State Credit Bureau, a subsidiary of the National Bank, more than 5 million out of 18 million citizens of Kazakhstan currently owe money to banks. The collapse in the price of oil has badly depressed salaries and led to job losses, translating, in turn, into an inexorable rise in loan defaults. People with dollar-indexed loans that earned their salaries in now increasingly devalued tenge have had a particularly hard time. More than 1.1 million Kazakhstanis last year allowed repayments on principal and interest to go unaddressed beyond 90 days past their maturity date. That came to $3 billion in defaulted loans. Karina, a 31-year Almaty resident, has an all-too-familiar story. She goes to court these days like it is her job, as she tries to cope with the past-due notices issued by collecting agencies hired by the banks and online credit companies from which she borrowed. “I never delved into the terms of the loans. When you really need money, you just go and file an application, and the only thought in your head is to solve your problems now and pay back later. That was my big mistake,” Karina, who asked for her surname not to be published, told EurasiaNet.org. It all began when the company where Karina worked began delaying salaries – as many employers have done as a result of the economic crisis. When it came to paying older debts, Karina had little option but to take out new loans, setting off an ever-expanding spiral of credit. Her bank accounts have been blocked and she has got a job in the grey economy, so her income remains off the grid. Economists like Petr Svoik, a long-time critic of the government’s economic policies, see exorbitant interest rates charged by banks as a leading cause of the default crisis. Banks in Kazakhstan on average issue mortgages with interest at 15 percent per annum. Consumer loans can come in at 20-30 percent annual interest. “The credit market is not developing the banking sector, but on the contrary deteriorating its position by accumulating unpayable debts,” Svoik said. The government response to this latest wave of bank crises has been to revert to its long-tried policy of bailouts. In July, the National Bank presented a banking sector stabilization agenda that will require the disbursement of more than 600 billion tenge ($1.8 billion) over 15 years. Those funds will go toward writing off bad loans and improving credit portfolios. As part of this new strategy, banks will instead focus their credit activities on supporting priority areas of the economy. What that means in practice is that regular Kazakhstanis – even hardworking people prepared to keep payments on a faithful basis – will find it ever more difficult to access credit. “Banks will be under increasingly strict monitoring from the National Bank, so they will have to tighten conditions under which they will hand out credits, particularly where it concerns risk factors for household borrowers,” Akimzhan Arupov, a professor of economics and head of the Center for Banking Education, told EurasiaNet.org. That raises fear of a debt crisis coming from another direction, as those in most desperate need may turn to micro-credit institutions or shady payday loan companies charging interest even higher than what regular banks now demand. And there is little hope the government will be so willing to bail out those kinds of credit institutions.